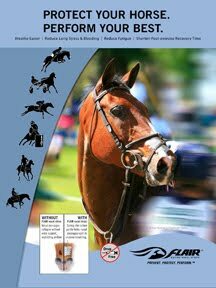 Lexington, KY - The 2011 FEI World Pair Driving Championship get underway this week in Conty, France, and three American drivers are set to make their International Championships debut. Led by Chef d'Equipe Chester Weber and Coach Michael Freund, the U.S. will be represented by Katherin Dancer, Misdee Wrigley-Miller and Joe Yoder. These three drivers drove as a team at Reisenbeck CAI in July and earned valuable international experience which Weber believes will serve them well going into the World Championship. Dancer, a German expatriate now lives in California where she runs a riding program - she drives a team of Warmblood horses and comes off a strong spring which featured a third place finish at the USEF National Pair Driving Championships at the Live Oak CDE in March. She is guided by her husband Scott, who serves as her navigator. Wrigley-Miller is also driving on her first international team, but she is also hugely successful in the Saddlebred world. She drives a promising group of young warmbloods and with her pair, Wrigley-Miller had top finishes at the Live Oak CDE, Sunshine State CDE and at the German National Championships. She also competed at Great Britain's Royal Windsor Horse Show in 2010. She has one of the best navigators in the world, Dutch superstar Koos de Ronde, on her carriage for the marathon. "We made that decision earlier in the year," said Weber. "It seems to be going quite well. There was a small injury to one of her best marathon horses - but that horse is back for the World Championships and we are excited about that." 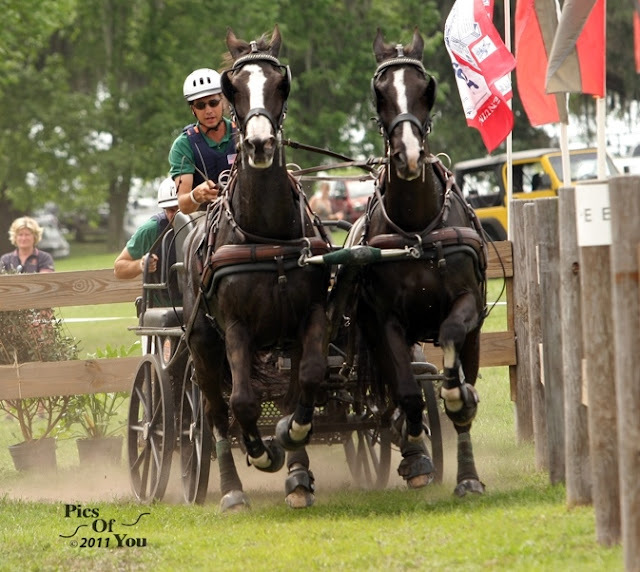 Joe Yoder began to make a name for himself in 2010 driving a four-in-hand, and he recently relocated from his Montana home to Aiken, South Carolina, where he drives for Jack Wetzel. Yoder turned 30 this year, and Weber feels that he has a long career in the sport ahead of him. 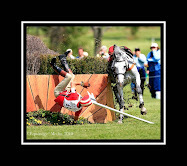 He is the 2011 USEF National Pair Driving Champion. "I think Joe is an up-and-coming driver," said Weber. "He's part of America's driving future, our hope is this that he will drive teams next." "All of them are quite inexperienced in terms of international competition and their first Nations Cup show was in Reisenbeck, but they all have some very nice horses," said Weber. "I try to treat them all like professionals because they have all obviously merited their position at a World Championships, I try to encourage them all to have three steady days in a row. They all got a lot of perspective while at Reisenbeck. I am optimistic about them. I am smart enough to never underestimate Michael Freund's ability to coach them. And they've been based there for the last week at training camp - he will have made some progress working on their weakness from the last big event. Michael and I are about the most competitive people, so we will do our best for a good result with this good team."